Shazwani Hamid's Blog: It's Heree!! I met Mr. X just now.. 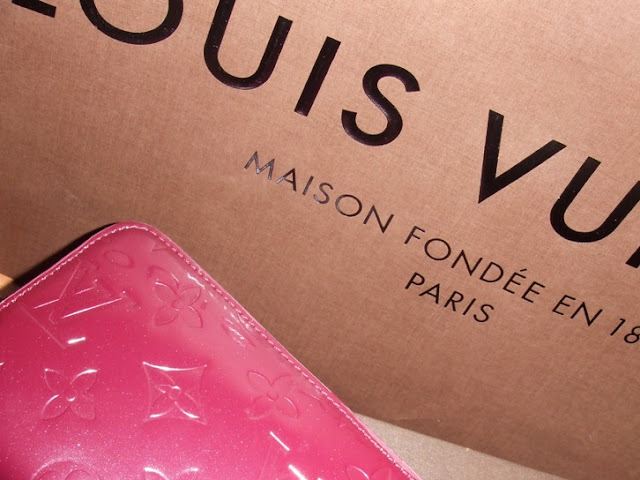 It's the Monogram Vernis Zippy Wallet! Remember in my previous post, that I asked u guys to vote which ones the best? So I chose this! hehe..
wah besssnyeeee dapat wallet LV. ni yg kena cari Mr. X sendiri plak nih... hehehe. elehh ni mesti sugar daddy bagi. To my girls: Thanks Y'all. To Miss Anonymous: Yep. He is, a sugar daddy. And the daddy is so schweet. haha. that's not how u spell happy-ness! waaa lucky u wani to have such a nice daddy.. it must be like a dream come true kan..
dengki gile si anonymous nih... gile ah... it's her blog, she can typed in whateva she wants and howeva she wants. she can said "pandai" and yet meant stupid. up to herla nk spell cmner pun, dh blog dia, yg u nk kutuk dia psl aper. aiyoh mr/mrs anon : she knows la how to spell it rite. omg itu pun nak jadikan issue. Alahai, I'm sure she spelt "happyness" on purpose. Like "kinda" instead of "kind of", and "floppin'" instead of "flopping". U don't have to make such a big fuss about it la Anonymous. Just chill la k. Don't have to take everything so seriously. This is not an English test ker apa.. Why don't u go n bother Fergie (yes, the singer) bcoz she spelt the word "TASTEY" instead of "TASTY" in her song. Duh! *some people juz care too much! sheesh. That's not how u spell "durh". Nak hentam org sendiri salah eja gak. Duh!! wah... jelesnye tengok beg LV tu. OMGGGG!!! U're such a lucky girl!